All Hail the Performance Champs! One thing we never get tired of is winning awards. 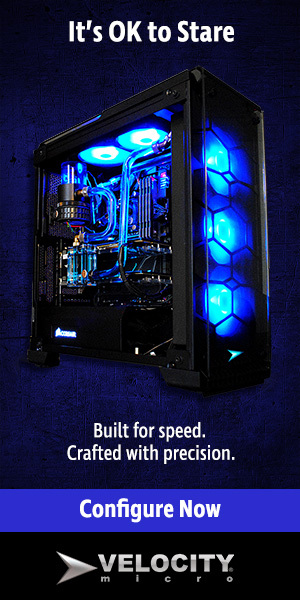 The 70+ total Editors’ Choice awards that we’ve won over the years are a major part of how we we’ve been able to build ourselves into one of the premier names in custom PCs and how we’ve been able to thrive for over 20 years when so many of our competitors have come and gone. But none of those awards is bigger than this. First, let’s set the stage. 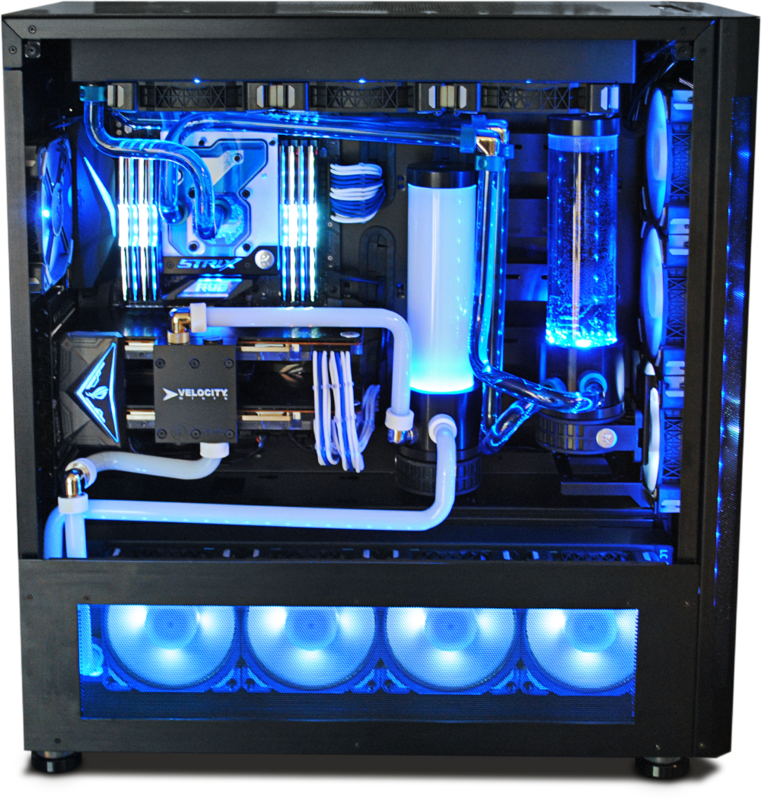 We entered into the Intel Rig Challenge officially in March alongside eight of our biggest competitors in the custom PC space. If you follow our industry, they’re likely the names you know and think of, along with ours (I hope) when shopping for a high performance PC. We were all given a $10K budget to build the biggest, baddest system we could muster using Intel’s top of the line i9-7980XE processor as a base. We chronicled that build process over the next three months with a series of videos and social media posts, which I have to say, we had quite a bit of fun putting together. Then, we sent that system in to be judged by YouTube influencers like Linus Tech and SoldierKnowsBest in a controlled environment at Intel headquarters. The competition was rigid. So how did we fare? Well, we didn’t win coolest lighting. But what we did win was the performance crown. That’s right, against the toughest competition the industry could throw at us, our PC outperformed them all. No tricks, no gimmicks, just meticulous craftsmanship and custom tuning using only the best parts available. We simply did what we’ve done with every PC we’ve built over the past 20 years, and it came out not just on top, but over 40% higher than last year’s winner. So if killer performance is important to you when shopping for an ultra-performance PC, you may have to look no further. 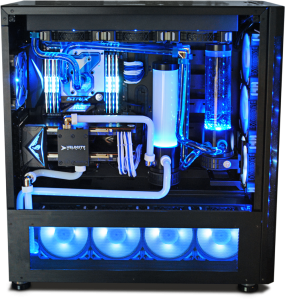 Ready to take home a PC just like this one? Click here to customize yours now. Looking for something a little more basic? Get started here. Kudos to our whole team of craftsman and engineers that built this system, and every system, at a level that is the pinnacle of the computer industry! I’m proud to work with you all.